So here’s another re-do. 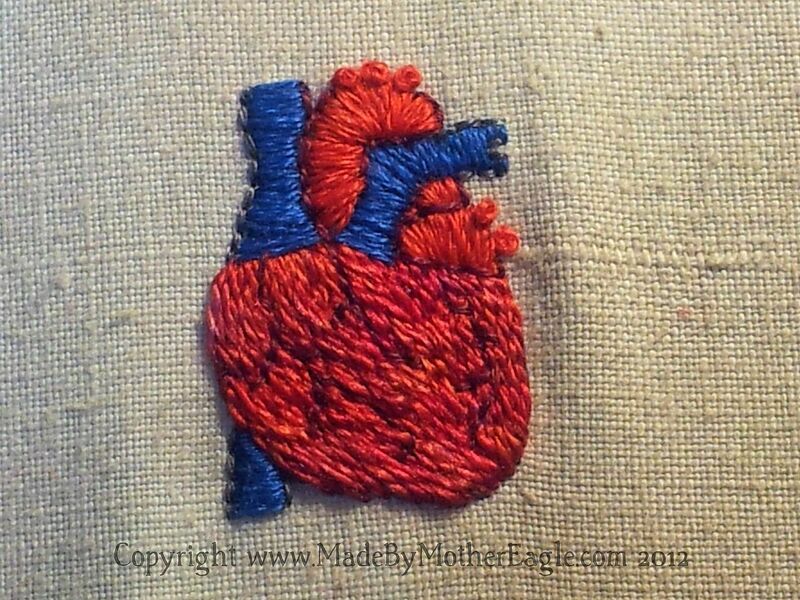 When I did the first Heart pendant, my mum in her infinite wisdom said ‘because it is a ‘wet’ organ, you ought to try using shinier threads like rayon or something’. Stitching knowledge, she has. You can see I’ve done guiding lines, and although the size of the piece is challenging, I did manage to get different stitch lengths up and down for the technique. 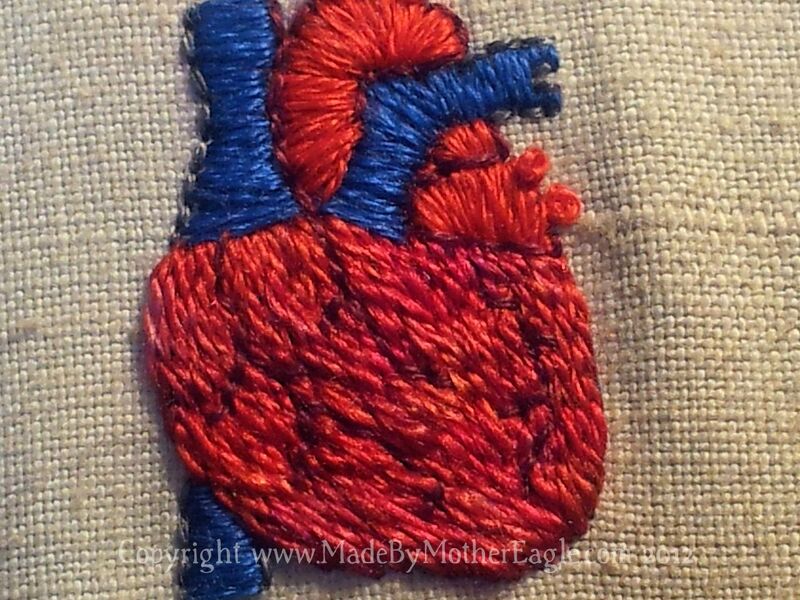 Comparing to the first version, the heart does look a lot smoother, and the gorgeousness of the thread really comes out – I counted about 7 different shades, which adds dimension. Indeed, it does look wetter. 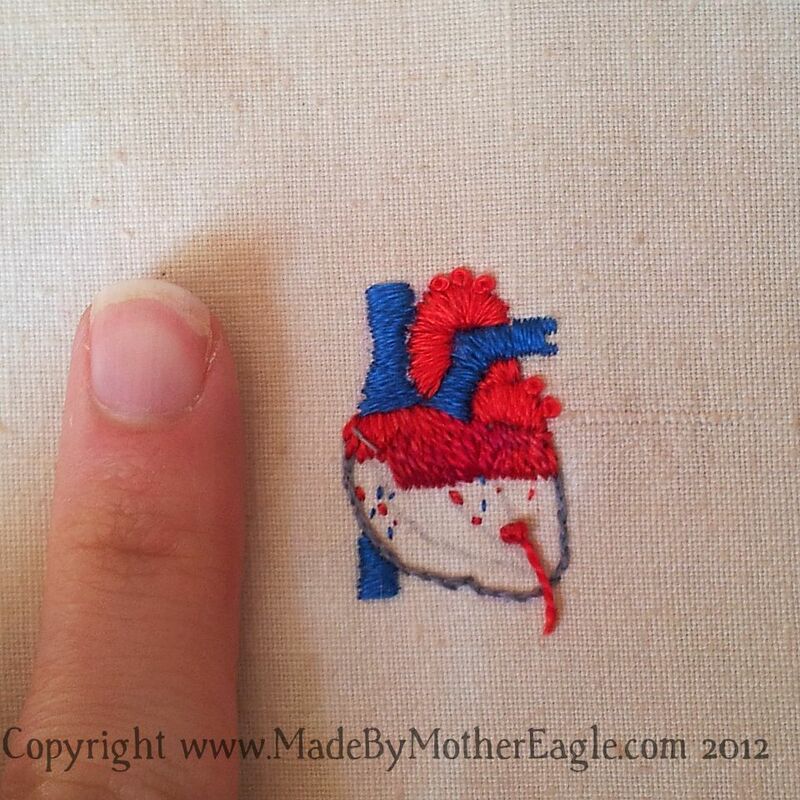 To finish I added the little veins in a darker burgundy cotton, and outlined, and french knots. I think I’d like to try again using just silk for the whole thing. Tomorrow I will share a new design with you I am completely in love with. p.s. I know the W.I.P photos I’ve been posting are a bit rubbish. They are quick and dirty on a camera phone. But don’t worry, when they are finally mounted up to their jewellery frames I will do a proper shoot and you can see them in full technicolor glory. Cunning… loving the ‘wet look’!